Is your BMW key fob missing its emblem? 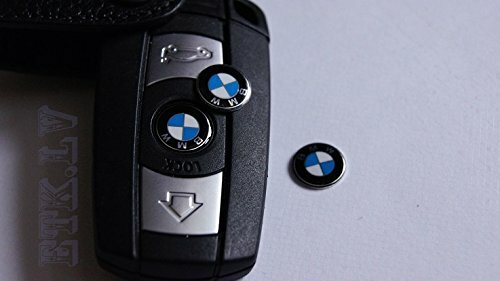 If your key fob is missing the BMW emblem, you can replace it without having to purchase a new key. 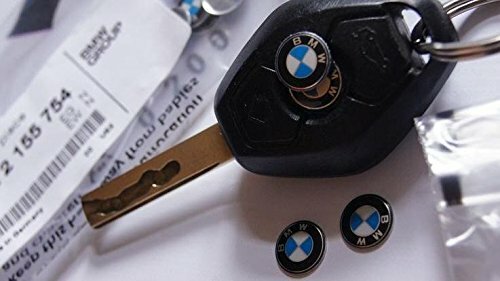 These genuine BMW roundels are a perfect fit for original key fobs. Get them now while still available. Note: The listing price is for 1 pcs only . To get the items in original packing you have to purchase mininum 10 pscs ! Its how they are sold on BMW. You need to apply some super glue for a strong adhesive If someone claims his key badge comes with self-adhesive, it is likely to be counterfeit item. Fits many remote control key fobs used on various BMW Check your key fob by measuring space left to right 11mm to be covered prior purchase. We are fully commited for 100% customer satisfaction. IF YOU HAVE ANY QUESTIONS ABOUT YOUR PURCHASE PLEASE CONTACT US.